Why Does My Sump Pump in Sterling Heights Keep Dying on Me? It is important to remember that your sump pump is just like any other electronic device in your home. When there is no power being supplied to it, it is basically useless. It is therefore a good idea for any homeowner to invest in a backup sump pump. These back up sump pumps are powered by a battery. They kick in when the primary sump pump is not working and there is water that needs to be pumped out. Not all pumps are created equal. In fact, the lifespan and strength of your sump pump will differ depending on the model and brand you purchase. When looking for a sump pump buy one with 1/3 horsepower-this is capable of pumping up to 35 gallons of water per minute. Anything below this would not be capable of keeping up with the flow of water. However, it is safer to upgrade to a ½ horsepower pump if your house is located on a high water table or in an area that floods frequently. This pumps about 60 gallons per minute. 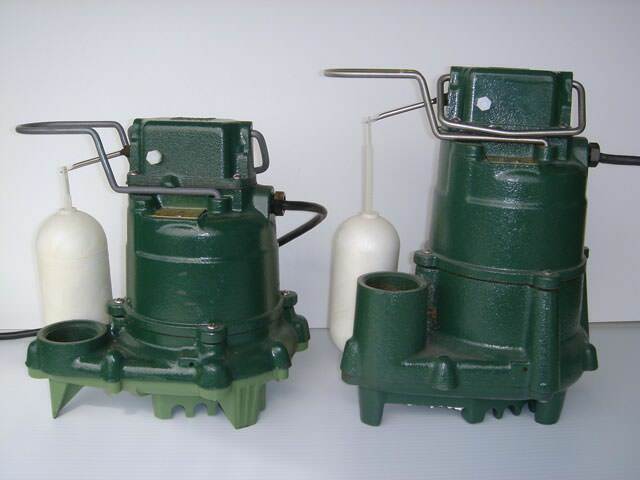 There are different types of switches that you can use on your sump pump. Sump pump float switches enable the pump to turn on when water has reached a specific level. Tethered float switches are one of the most common types. However, they often get stuck on the sides of the walls within the sump pit. The pump will therefore not get turned on and the basement will flood. It is advisable that you change your switch to a vertical float switch. This will minimize the stuck switch problem. This is a common problem when the pipe is not pitched properly. Water collects in the pipe and freezes. This makes the pipe to get blocked. The water being pumped out will therefore simply return into the sump pit resulting in the flooding of your basement. Ensure that you have a professional contractor check the sump pump system. He will have your drainage pipe pitch fixed before your pump gets damaged.